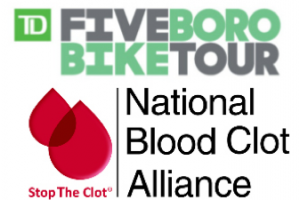 September 16, 2009 – TARRYTOWN, NY – The National Blood Clot Alliance (NBCA) today announced that it received two major program grants totaling $2.6 million over five years from the Centers for Disease Control and Prevention (CDC). 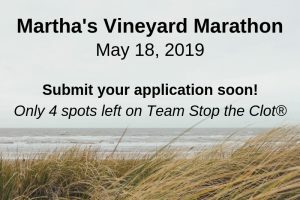 These funds will support programs directed at curbing the devastating effects caused each year to over 350,000 Americans who develop a blood clot. NBCA will use these grants to conduct patient and healthcare professional education and awareness initiatives directed at preventing deep vein thrombosis (DVT – a blood clot in a limb) and pulmonary embolism (PE – a piece of a DVT that breaks off and travels to a lung). “A pulmonary embolism is a serious medical condition that each year kills at least 100,000 Americans,” explains NBCA President Randy Fenninger. “We have a national public health crisis because few people recognize or understand the symptoms and risk factors of this silent killer,” Fenninger added. 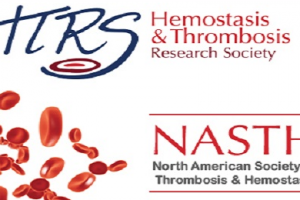 Organize eight Stop The Clot® Forums across the U.S. These dynamic and interactive patient education seminars will provide basic information about blood clots (signs, symptoms and risk factors), prevention, and how to live with blood clotting disorders. Expand Stop The Clot® Web-based programs (www.StopTheClot.org) and activities—maximizing educational content, usability, interactivity, patient self assessment tools, webinars, patient video diaries and expanding reach. Develop new Stop The Clot® print-based materials to support education initiatives. Education of Healthcare Professionals (HCPs) including nurses, nurse practitioners, pharmacists, and physician assistants, is critical to the health of patients with blood clots and clotting disorders. HCPs must be proficient in knowledge about risk factors, signs and symptoms, prevention, treatment, and complications of blood clots and clotting disorders in order to ensure quality care. In addition to this knowledge, HCPs must develop the skills to motivate patients to adhere to treatment plans that include “blood thinners,” frequent testing, and compression stockings, at times a burdensome challenge. NBCA has already developed a series of six online modules to fill any knowledge gaps in HCPs about venous blood clots and clotting disorders, and will evaluate the impact of this curriculum in the coming year. NBCA is now ready to develop a series of webinars to develop communications skills of HCPs to promote a therapeutic alliance with patients to motivate adherence. Using its Curriculum Development Team (CDT) comprised of experts in clotting, NBCA will develop webinars on topics that HCPs have indicated are most needed, such as “Preventing Complications of Blood Clots.” These interactive webinars will include PowerPoint slides, video segments, discussion among HCPs, and aids for HCPs and patients to use together. Web-based seminars allow efficient and effective outreach to busy healthcare professionals. Under this five year grant from CDC, NBCA’s patient and HCP education programs will be carried out in cooperation with the NBCA-Minnesota Chapter and chapters in formation in North Carolina, District of Columbia and elsewhere in the U.S. Patients and HCPs will also be reached throughout the U.S. network of the 140-federally funded Hemophilia Treatment Centers, the CDC Pilot Thrombophilia Centers and the 1,500 anticoagulation clinics that are members of the Anticoagulation Forum. Click here to return to our News Section.